A playmat is a great way for children to bring their own fantasy world to life, getting to know different landscapes and places like the city, the zoo, the farm or even a racetrack. The roll up mat by Bloomingville is available in different designs and is made from 100% cotton. It is therefore safe for the sensitive skin of children and can be cleaned in the washing machine when necessary. Another great feature of the carpet is that it can be rolled up to save space when not in use and is ideal for the children's bedroom. 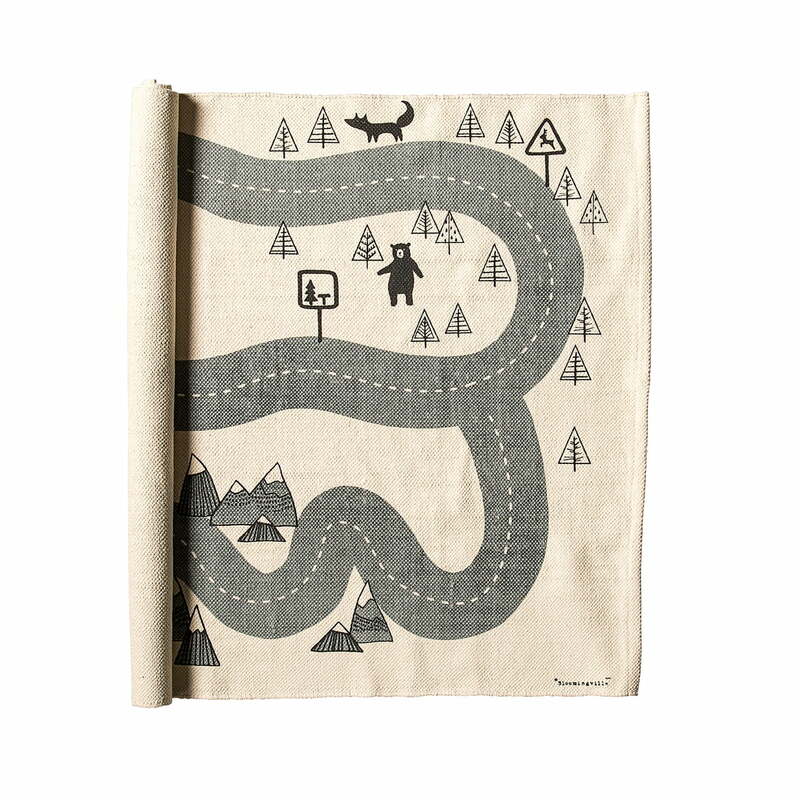 Isolated product image of the Roads playmat by Bloomingville in beige and grey. 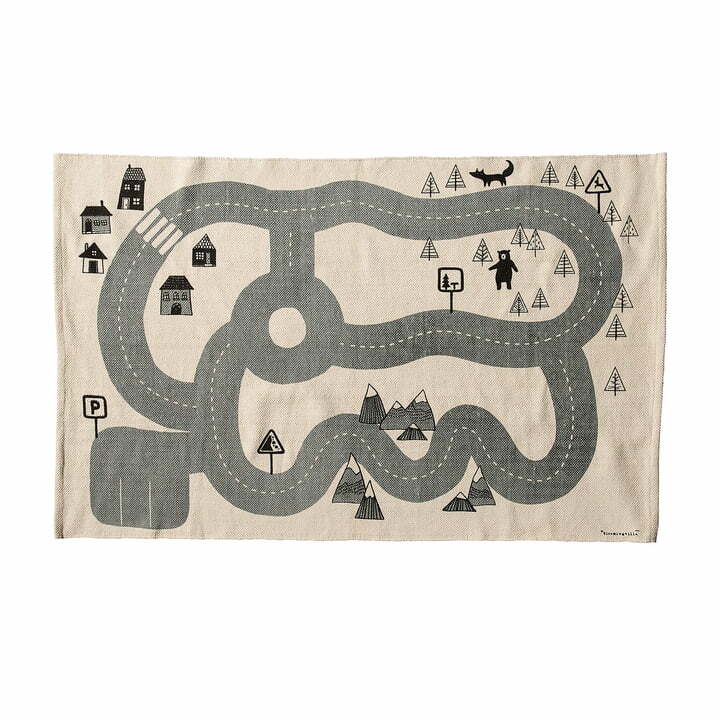 The playmat is made from 100% cotton and is ideal for the sensitive skin of children. 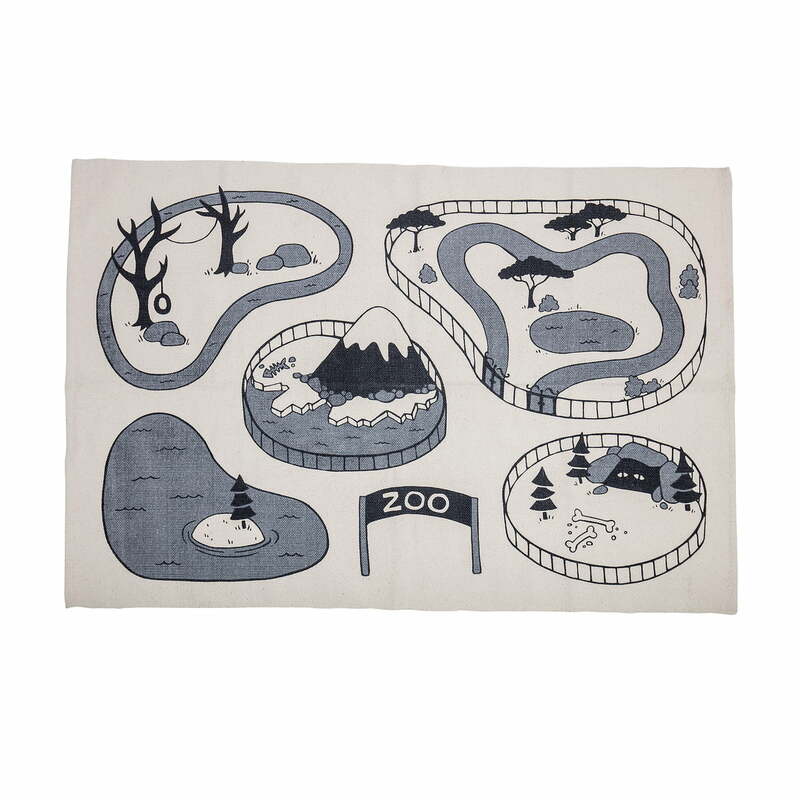 The Zoo playmat by Bloomingville in beige / grey is made of cotton. It is therefore safe for the sensitive skin of children and can be cleaned in the washing machine when necessary. Animate product image of the Roads playmat by Bloomingville: The playmat is rolled up when space is needed in the bedroom or playroom and rolled back out when your little one wants to play again.